The Commodore 64 was one of the first computers I grew up using after owning a Commodore Vic20. While I love the the sounds that it makes, it’s not exactly the easiest piece of hardware to use various DAWs. So, what I decided to do was sample the raw wave forms that it has and set them up as instruments in a sample library for Kontakt. It should work for most versions full versions of Kontakt but you can contact me if you have any problems. It will not work properly for the free Kontakt Player, though, since it will time out after a certain period of time. 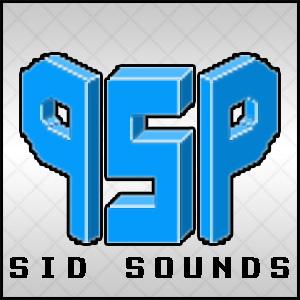 You get both SID Sounds Volume 1 and 2 with a single purchase. SID Sounds Volume 1 for Kontakt gives you access to all of the wav files in the library. So, those who have the know how can edit them or load them into other samplers. There are a total of 282 samples to work with. SID Sounds Volume 2 is the sequel to my original SID sound set. While Volume 1 concentrated on the raw wave forms of the SID chip, Volume 2 is all about lead sounds. I multi-sampled ten different synth patches using the MSSIAH cartridge and set them up as Kontakt instruments. While some of them are bread and butter type sounds, you’ll also find some wave table arpeggiated patches. Each sample was recorded for several seconds and I spent a good bit of time doing my best to set the loop points properly. There are a total of 325 samples weighing in at about 214MB. Since so many samples were recorded, there is no stretching done except near the upper and lower octaves. The SID never really produces the same exact wave form twice and these little slices will give you that sound. If there’s enough interest in this Library, I’ll work on sampling various combined wave forms from the Commodore 64 and release them in a similar manner. Right now this library has these wave forms: Saw, square, triangle, saw-square, triangle-square, and noise. There is also a collection of drum sounds. Please feel free to contact me if you have any questions! Below are songs created by users who have purchased this library.